We love these mitts. So soft. So fluffy! 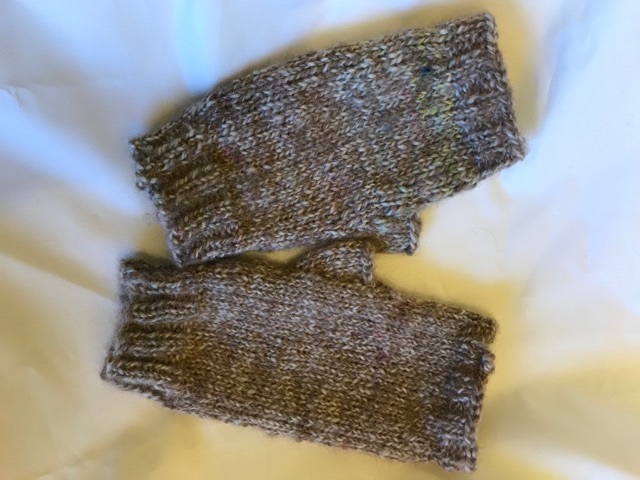 The actual mitts are lighter in color than the photo. A lovely fawn and white with bits of color. 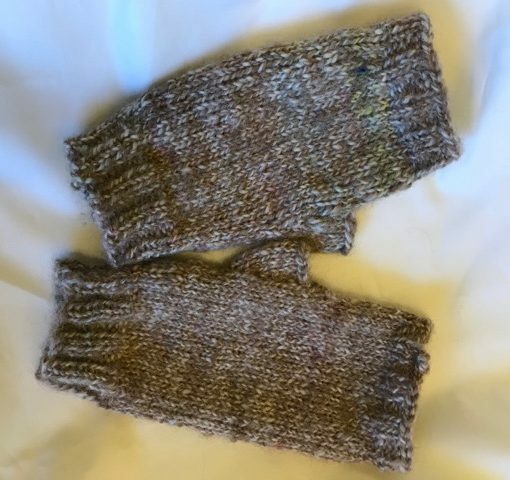 These mitts will be made as soon as you order. Manufacturing time may be up to two weeks. Colors may vary based on existing yarn inventory. If you like brown, we usually have some very nice brown yarn in stock for faster production. This yarn will be hand knit into soft and warm fingerless mitts, just for you. 100% USA. 100% alpaca. Fits most medium sized women’s hands.